Smart Swab Ear Wax Remover tool - Review | Better than Q-Tips? Facts about Smart Swab Ear Wax Remover tool . Is it really time to ditch our cotton buds and grab this new-age handy ear wax remover tool? 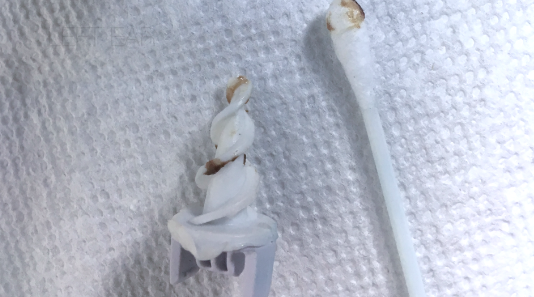 Smart Swab Ear Wax Remover tool might be a saving grace if it actually works, especially since there are claims that say cotton buds push ear wax in instead of actually pulling it out. This was an amazon version of the "as seen on tv" Smart Swab Ear Wax Remover tool. I mean they all do the same thing and look the same. I purchased it on amazon for t$10.99 (As seen on tv is $12.99). So I went with this version. I actually was really happy to see someone thought of inventing this. Like most ppl don't want use cotton buds or just don't like the way it feels. The tool is very portable, you can travel with it, put it in your toiletries bag, use it at anytime. (well until the tips run out). How Smart Swab Ear Wax Remover tool - Demo. If you are thinking about Smart Swab Ear Wax Remover tool. Well, my thoughts are in the video. Even though the concept is amazing, I just think it isn't a great tool to use. It just didn't perform well. I was really hoping to be wowed by it. But Nope! was disappointed by it. In comparison to the Qtip, it failed miserably. Had to use the tool twice to even get a lil bit of earwax out. Proof below. But I mean I would still look for better, safer options.